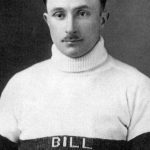 Gary Sabourin grew up in Britt where he learned to skate on the Magnetawan River. 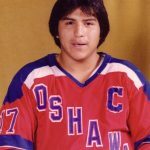 Proof that shinney can sometimes offer as great a training as any league, Gary did not play organized hockey until his family moved to Blind River when he was 14. 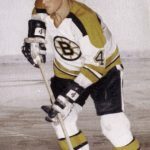 After a tryout with the Chicago Black Hawks, junior franchise in St. Catharines at 15, Gary played lunior B in Orangeville where he signed a contract with New York. 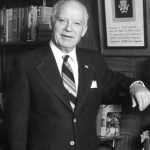 The Rangers assigned Gary to their junior affiliate in Guelph in 1962-63 (the franchise relocated to Kitchener in 1963-64) where his determination paid off with a point-a-game season. 627 games, where he notched 169 goals and 188 assists. After retiring, Gary moved back to Britt, then settled in Chatham, Ontario. 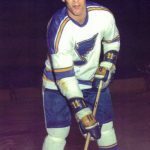 Traded to St. Louis by NY Rangers with Bob Plager, Gord Kannegiesser and Tim Ecclestone for Rod Seiling, June 6, 1967. 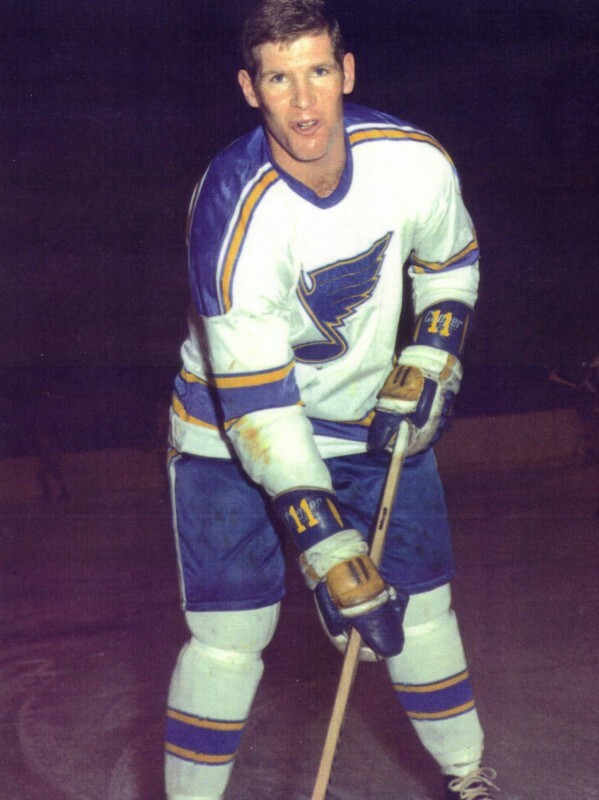 Traded to Toronto by St. Louis for Eddie Johnston, May 27, 1974. 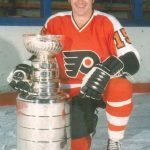 Traded to California by Toronto for Stan Weir, June 20, 1975. Transferred to Cleveland after California franchise relocated, August 26, 1976.